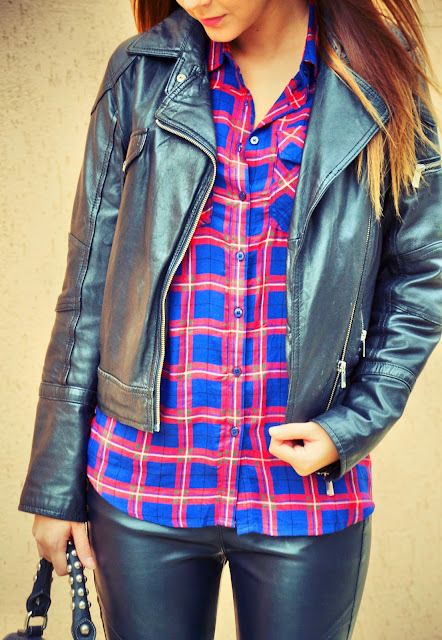 yeah plaid are saver in an outfit, coz its easy to mix. Tartan is really a classic in my opinion I love that you gave it a edgier twist. Nice combo. I really like your shirt. Love this shirt. Tartan sure is the best! Oh really cool outfit! I love it your bag is really cool. 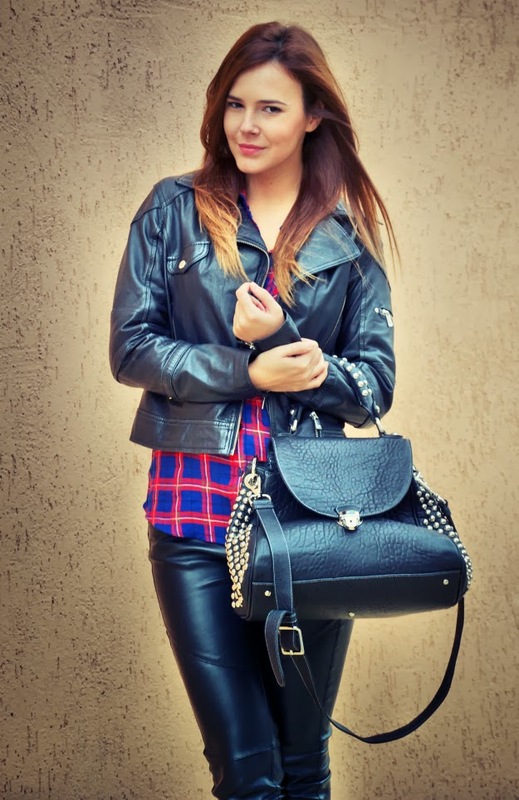 love leather pants and always tour wonderful bag! I`m in love with your bag! This style is super cool and you are so stylish. I have so many shirts and am really looking for ways to style them. This post came in right time. Thanks for sharing dear. Thanks for your invite to follow each other.....I like your modern style so I am following you. Gorgeous outfit! The tartan shirt is my favourite! And i like your shatush hair!! On my space blu color post! !